3 more audio boxed sets featuring Emma and Tara released over the next three years from Big Finish. That's excellent news!  These ones are based on the stories that appeared in TV Comics. I hope at some point that there will also be a Cathy Gale story or two as well. Beth Chalmers did an absolutely fantastic job as mrs Gale in "Too many targets" and I really want to hear more of her. Perhaps the Douglas Enefer novel and the newspaper strip stories could be used. After this, perhaps even an original story, as per the other ranges in the Big Finish line. Here's hoping! Beth Chalmers was excellent as Mrs Gale. Adaptations of the newspaper strips or the Enefer novel would be great. The latter is actually my favourite Avengers novel - I'm never quite sure if it's because of the story, the fact that it's one of the few printed stories with Mrs Gale or because it's the most expensive novel I ever bought (got into a bidding war on ebay)! I agree, Paul, the Enefer novel is easily the best, followed by Deadline & Dead Duck. The Garforths are pretty much rubbish with the occasional glimmer. Geoff Barlow's are better but he's a bit too much of an Emma fanboy. I should probably read the lot again to make a more measured judgement. It has been along time since I read the novels too. I thought Dead Duck was great. Never was too sure about Deadline; it seemed to focus of alot on the workings of a 1960s newspaper office, but I may be misremembering! Agree about the Garforths, although some of them had Avengerish plots, others didn't and none of them really captured Steed and Mrs Peel. The Laumer and Daniels novels were better and had the occasional crazy plot - I recall a Tara one about a luxury transatlantic submarine! Front cover of coming third volume "The Avengers: The Comic Strip Adaptations". Gosh what a horrible cover, that art doesn't look in the slightest bit Avengerish to me. 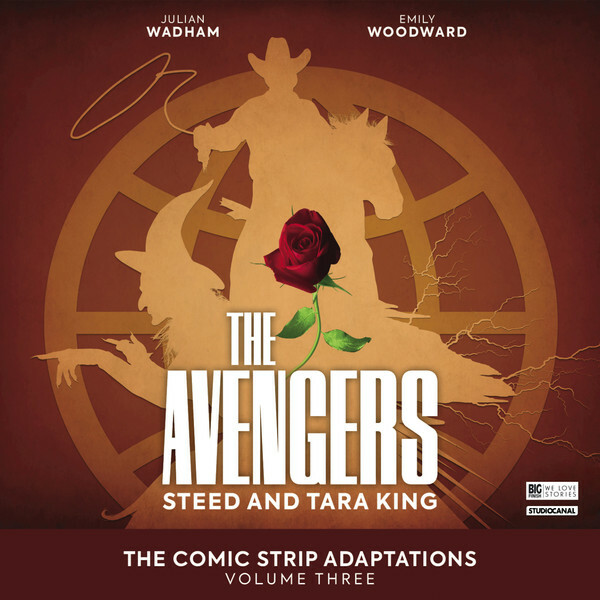 The Avengers: The Comic Strip Adaptations Volume 3 with Steed and Tara King is out now! Price: £30 for the CD box set or £25 on download. I'm looking forward to listening to these. Some of them sound particularly intriguing, particularly the episode where Steed, Tara and Mother are at an air force base and a test plane is seemingly stolen by a storm. 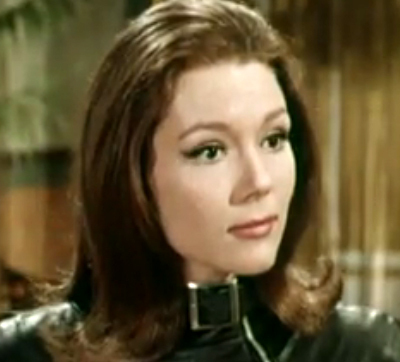 Apparently another episode is a sequel to an Emma Peel story that hasn't been written yet (presumably that will appear in volume 4 when it's released next year).